20150709_090336 | Award-Winning Local Honey From OKC! Award-Winning Local Honey From OKC! I'm Tonya Wells with Queen Bri's Honey! Together with my dad, Paul Leathers, and my daughter, Brianna, we are 3rd, 4th, and 5th generation beekeepers. We are very passionate about our little hobby! In fact, we are so passionate about educating others about honeybees, that in 2017 Keep Oklahoma Beautiful awarded Queen Bri's Honey their Environmental Excellence award out of all other nominated Oklahoma businesses! Our honey comes from our bee yards located in Oklahoma City and Moore, OK. Queen Bri's Honey is named after my daughter Brianna. We sell our raw, unfiltered honey, and offer Beekeeping 101 classes several weekends during the year. Our online Beginner Beekeeping class on Udemy is their #1 best-selling beekeeping class internationally. My daughter, Brianna, has taken our little hobby and opened up her own business called Fresh By Bri, where she uses the beeswax our honeybees make to create over 80 different bath and body products that she sells on http://www.freshbybri.com. Want to help us out with the costs for our FREE bee swarm rescues? 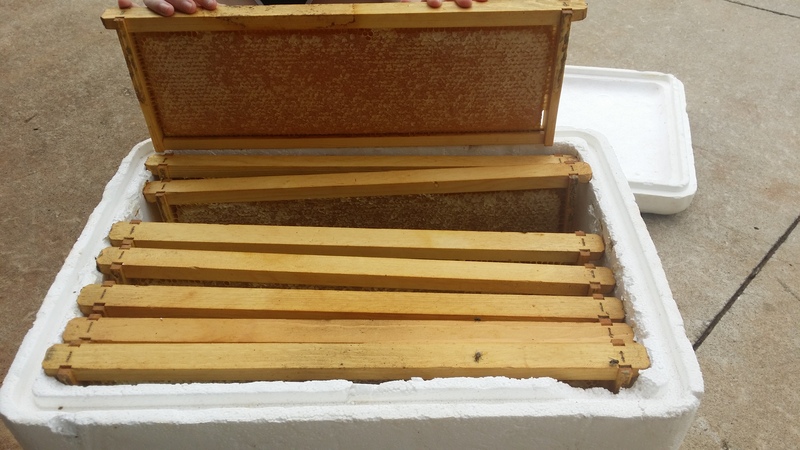 You can donate to help cover gas, new hive boxes, and feed for the rescued bees. Due to a new work schedule which has us traveling frequently for our daytime job, all honey sales are now done online. We no longer do honey sales from a retail location. You may purchase our local honey by clicking on the “Buy Our Honey” menu option, and purchasing it through our online shop. All Rights Reserved. Copyright Queen Bri's Honey 2018.